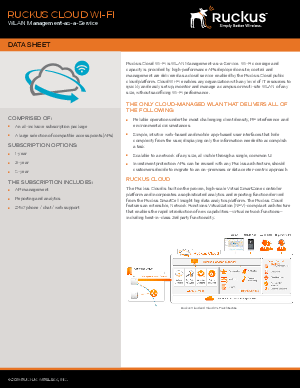 Cloud Wi-Fi simplifies the complexity of deploying and managing a WLAN without sacrificing the great Wi-Fi experience that users demand and that IT is expected to provide. Effectively managing and troubleshooting an on-premise controller-based Wi-Fi network requires dedicated staff and network expertise. The challenge becomes more acute with a multi-site network. Cloud Wi-Fi makes it possible for lightly staffed (or just plain overworked) IT organizations to face a multi-site challenge with confidence.